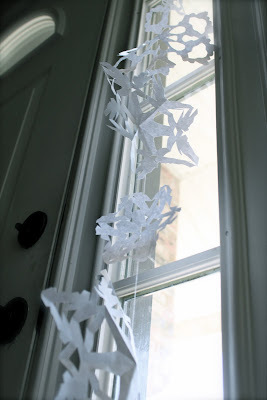 I surely can't take credit for the "how to" on making paper snowflakes. 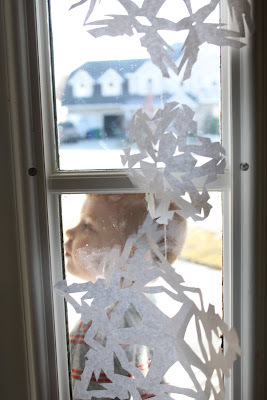 In fact, in past years before Pinterest was invented, my snowflake making skills were hopeless. More than not they would turn out square shaped or sadly, even in multiple pieces. Thank heavens for the vintage junky, and the wisdom I found there. Here is the result of the fabulous tutorial and templates from the above mentioned website! 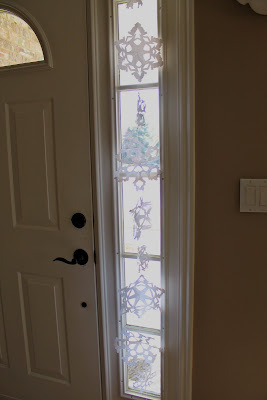 So they may seem somewhat sub-par.. but you didn't see my snowflakes last year! !